Drovers owner Jane Edward and winner Kellyann Cope with children Aubrey and Lukah Cope Gaynor (both 18 months). A BANKSIA Grove resident has been rewarded for shopping at her local greengrocer in Wanneroo. 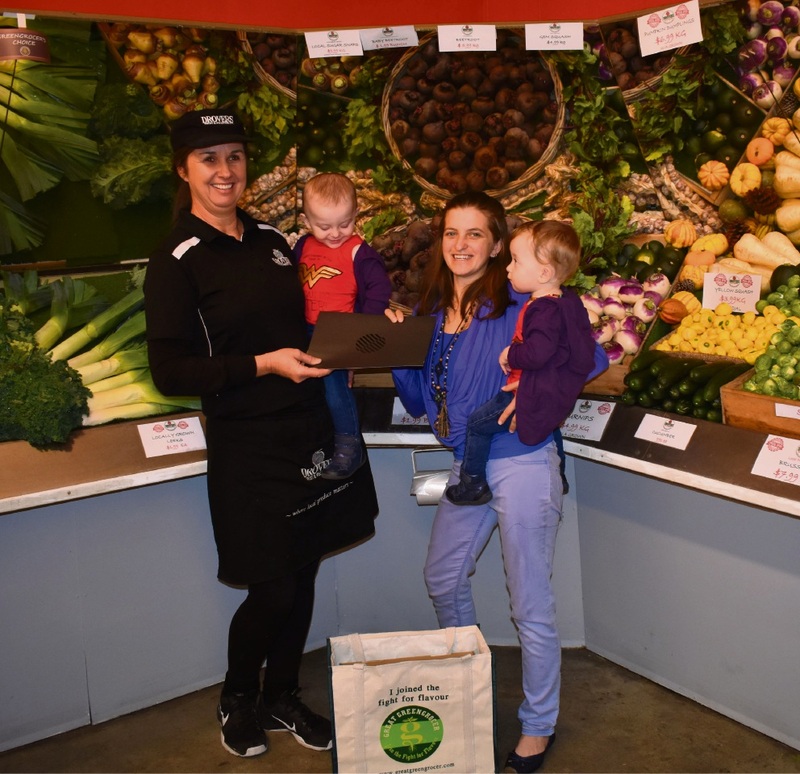 Kellyann Cope won the Great Greengrocer’s Ridiculously Good-looking fruit and vegetable competition for her creation made from produce bought at Drovers Fruit and Vegetables. Her healthy animal-inspired snack was selected from more than 130 entries around WA, winning her a weekend getaway at a Dunsborough resort. Campaign manager Inci Humberstone said the competition encouraged people to buy local fresh produce. “More so now than ever we are seeing people who want local produce with a focus on freshness and flavour,” she said.